The 2008 presidential campaign is different than any other in recent memory. It’s the first in time in 48 years that two sitting Senators are vying for the presidency. It’s difficult for senators to win the post since their voting record on national issues is there for public scrutiny. Since 1968, Americans have elected governors or “outsiders” to the Congress. 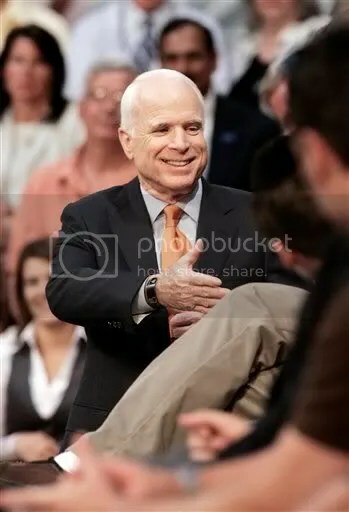 Now with two clear contenders in the ring for 2008, McCain and Obama’s legislative positions on immigration policies are on display for all to see and debate. Obama on the other hand has promised immigration reform during his first 100 days in office. Even so, Latino congressional reps are worried that Obama isn’t doing enough to court Latinos. There was also news this week that Democrats are playing both sides of the issue by pushing for more funding for strong-arm enforcement measures. Immigration is one of those “Alice in Wonderland”-type policy issues where normal positions seem to warp and change at random. With the national elections less than five months away, we’re sure to hear a lot more about the issue.